It’s often been said your first draft will never be your best. If at first you don’t succeed try, try again and all that jazz. These age-old idioms rang true for Space Age Nerds the company behind the gif-creation and sharing app MyFaceWhen. The pair got the idea from Curl’s love of sending gifs. “I just like sending gifs to people, something random to get my point across and make them laugh,” he explained. Curl had been sending gifs to peers for almost a year when his friend, and other half of Space Age Nerds, Ethan Diamond, approached him about creating an app to do just that. The application allows iPhone users to pick any video file on their phone, or use the app’s built in camera feature, to create textable gifs. It’s an innovative way to send text messages to family and friends. Almost a year of developing and edits came to a head two months before the release of the app. It was around that time the pair began to work zealously towards completion. You should have seen MFW that 400 pound girl told me she was a vegetarian. Space Age Nerds have a lot in store for newer versions of MyFaceWhen. “We’re working on updates and listening to what the people want,” said Curl. “We really want MyFaceWhen to be an app people use all the time.” With Curl on the design front and Diamond developing on the backend, we’re excited for what’s next. 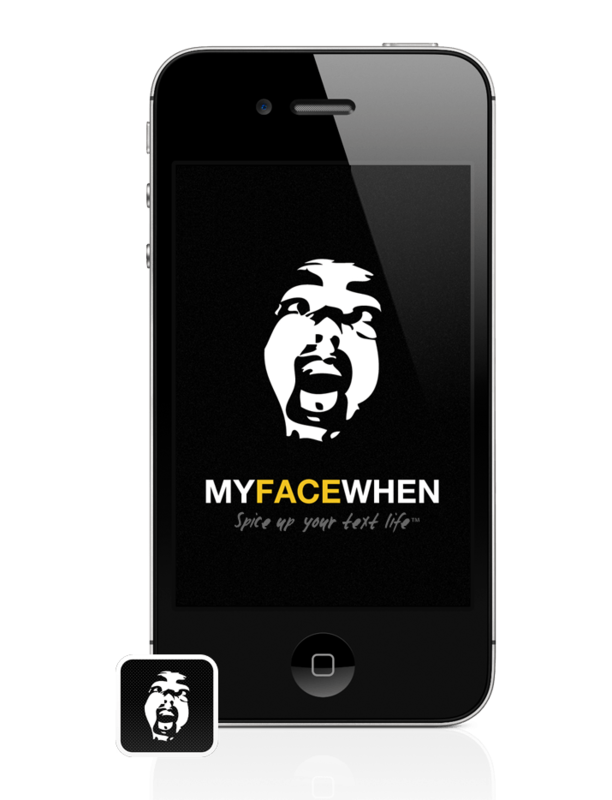 In the meantime Curl believes MyFaceWhen is the best app of it’s kind.